Create a project using stripes. You have TWO WEEKS to play along - Deadline to enter is Friday, June 16, 2017 at Midnight CST. The winners will be announced on the NND blog the following Monday. 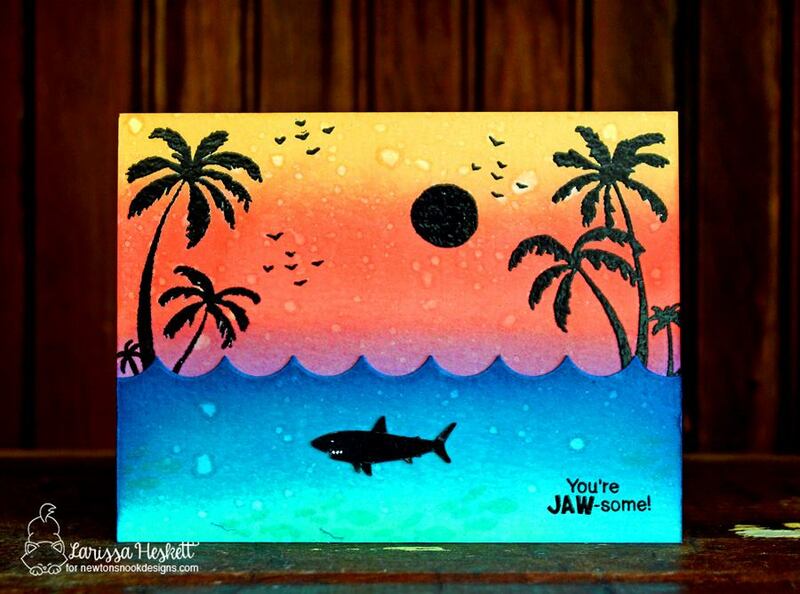 Jess has used some amazing colors to create this beautiful card featuring Happy Little Thoughts. Debbie's card featuring What a Hoot gives thanks to a special teacher. Just love how Tatiana imitates the small heart on Newton's shirt with the larger heart in the background. Oh so clever! Newton Dreams of Italy is such a fun set for any globe trotter! Ellen has created such a fun plaid. Those bright greens go perfectly with the owls from Woodland Duos. Naki creates a mouth-watering card using Party Pops. Her soft colors are just precious! 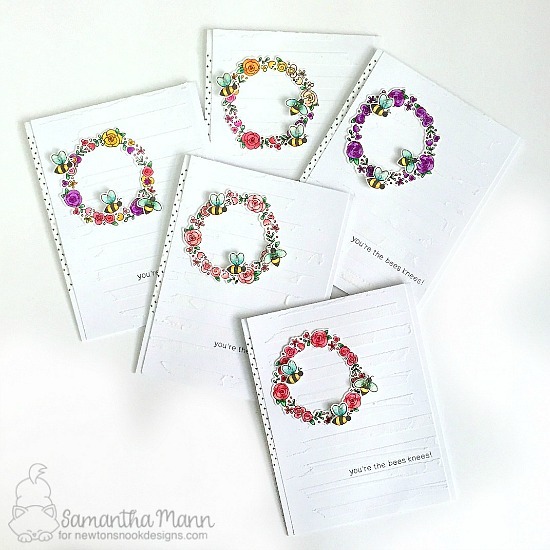 Samantha has elegantly combined Winston's Honeybees and Happy Little Thoughts. The subtle stripes add a perfect touch. Larissa created stripes using distress inks on this amazing summer card. She also used Paradise Palms and Shark Bites Stamp Sets and the Sky Borders Die Set !! Wow! All the projects are so AMAZING! Love how everyone interpreted the stripe theme in such a different way! And the bright colors make look every card so cheerful and fun! 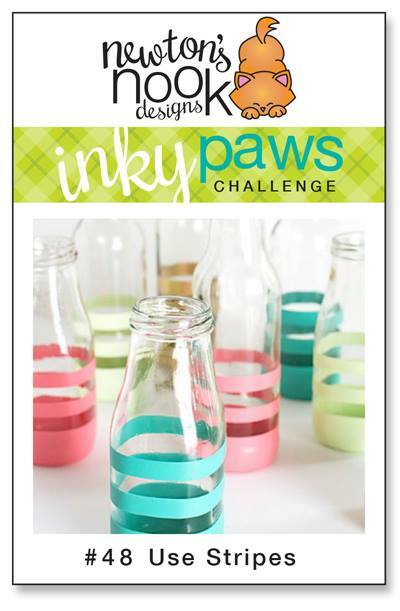 Thanks for the stripes challenge and wonderful design team inspiration!